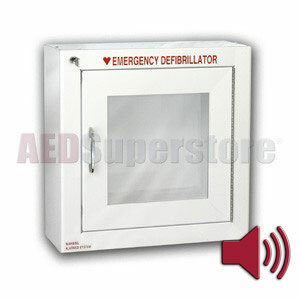 I was very pleased with the AMP180-1SM Standard Size AED Cabinet with Audible Alarm I ordered. The cabinet was exactly what I was looking for and it was delivered to me faster than I thought I would receive it. I give this AED review 5 stars, it replaced a broken AED that we had and it was cheaper and looks the same as the previous AED.